Location, Location, Location: Located near Williamsburg, this community provides homeowners with scenic natural beauty of James City County, area recreational amenities, miles of community walking trails, and much more. White Hall is also conveniently located near Colonial Williamsburg, Ft. Eustis and other military bases, golf courses, rivers for fishing and boating, fine dining, shopping, and more. With so many of the best things in life just minutes way, it doesn’t get more convenient than White Hall! 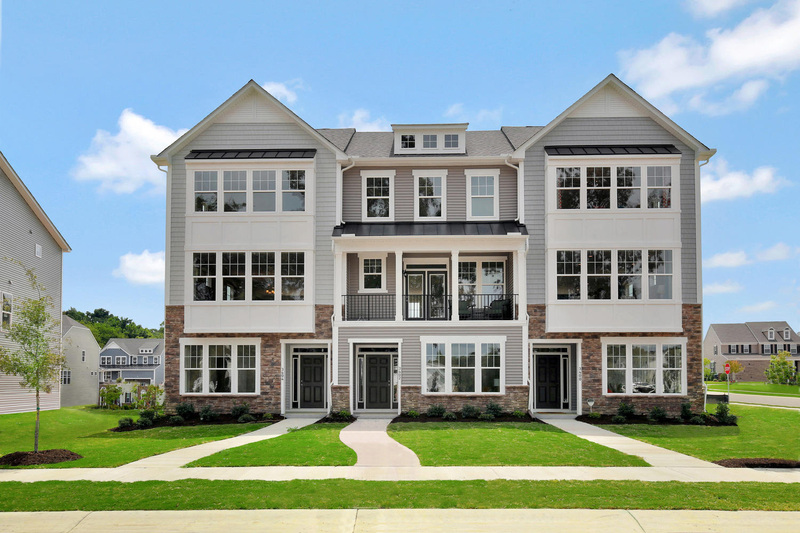 Stunning Homes: With its luxurious and inspiring architecture, White Hall has one final section of distinctive townhomes available for purchase! The variety of low-maintenance townhomes also turn easy-living from a dream to reality by giving you more time to enjoy with friends and loved ones. The three-story townhomes include attached two-car garages and feature the spacious Rockford, Carmichael, and Sheffield floorplans. You’ll love making memories with your friends and neighbors as you gather for a delicious meal in the modern and gourmet kitchen, enjoy the natural beauty of the community on your second-floor deck, and more. First floor owner’s suites and walk-out basements are also available! Amenities Aplenty: What’s better than enjoying an active or leisurely lifestyle at your own pace? White Hall makes it a reality! 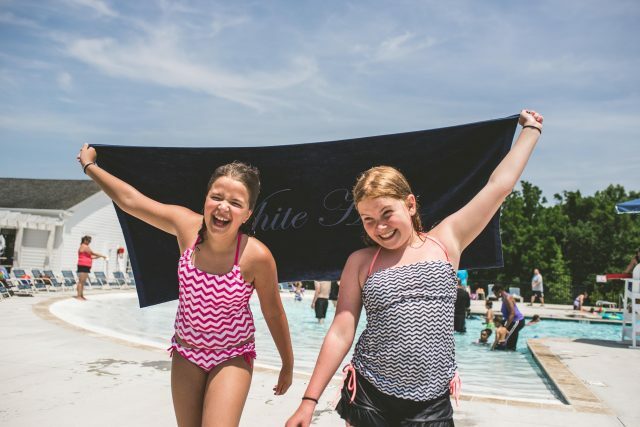 Homeowners have access to White Hall’s resort-style amenities such as a stylish resident clubhouse renovated from an early 1800s farmhouse, swimming pool with zero entry and water feature, tennis courts, children’s playground, scenic hiking/biking trails, multi-purpose athletic field, and more. 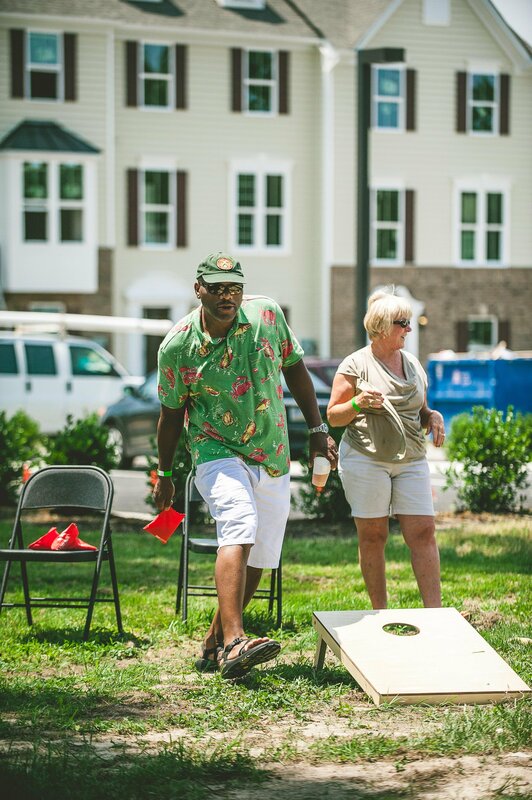 At White Hall, you’ll also find a quiet, close-knit community that enjoys coming together for fun-filled events! At HHHunt Communities, we believe it’s how you live that matters and White Hall is a fantastic place to make the most of luxury, easy-living in a convenient location. Don’t wait to take advantage of the final opportunities in this stunning community, visit our website for more information!